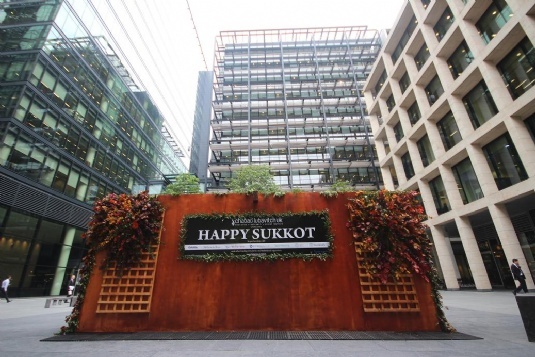 This Chol Hamoed, Chabad Lubavitch UK welcomed the crowds for the third year running to its largest public Sukkah in the country, located in the heart of London in New Street Square. Set in a busy pedestrian square in between Fleet Street and Holborn, the 50sq metre stylish Sukkah is specifically designed and decorated to fit in with the local environment. For the duration of Sukkot it was a big talking point for the many thousands of people who work close to and pass through the square. 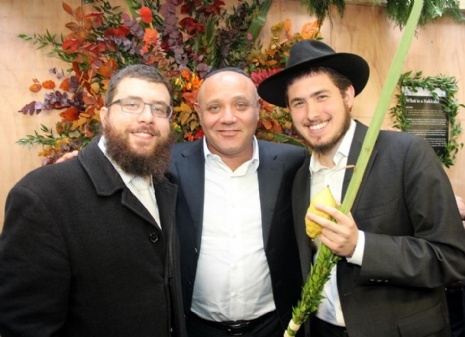 During the three days of programmes and events over 1000 people came through the Sukkah doors to shake the lulav, eat some food or just find out more about the festival of Sukkot.